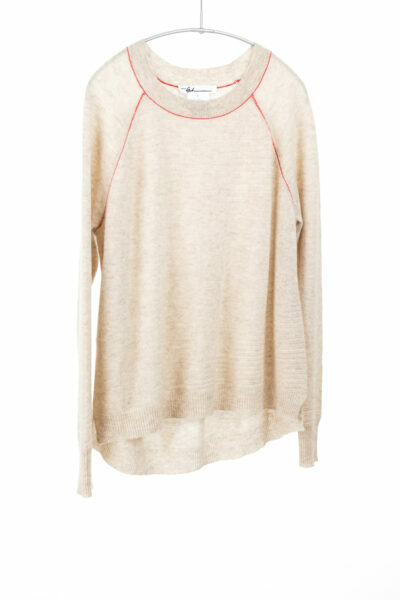 The Airy Textured Crew features raglan crew neck, rounded and longer back, and mini side slits. 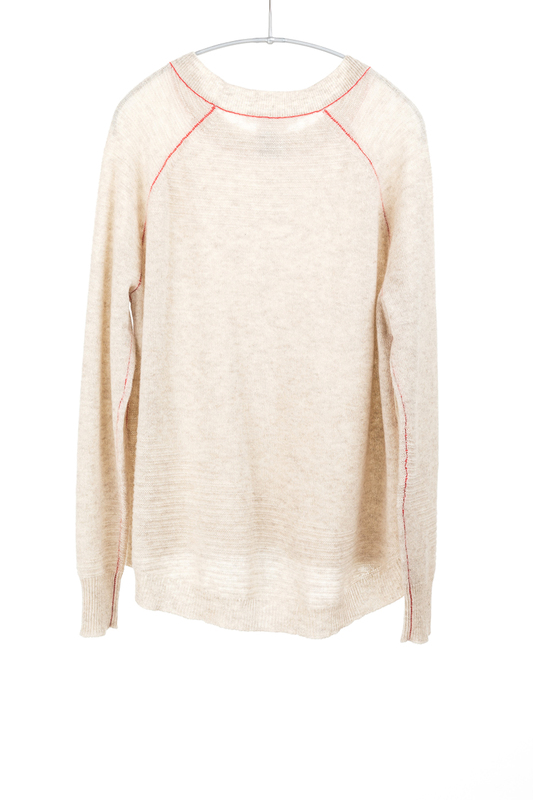 Linking details in contrasting color and subtle links-links texture add charm to the cozy pullover. XS: Body Length is 22” at front, 25 1/2” at back; Chest is 41 1/2”. S: Body Length is 22 1/2” at front, 26” at back; Chest is 43 1/2”. 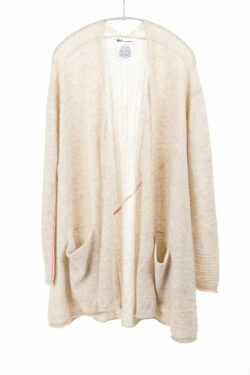 M: Body Length is 23” at front, 26 1/2” at back; Chest is 45 1/2”. L: Body Length is 23 1/2” at front, 27 1/4” at back; Chest is 48”.